Appian Way * Seven Hills * Palatine Hill * 5th Avenue * Villa Borghese * Capitoline Museum * Vatican City * Palazzo Farnese * Palazzo Pamphili * Janiculum Hill * And More! From ancient tombs along the Appian Way to fashionable stores on modern promenades, a visit to the Eternal City is like a trip through time! 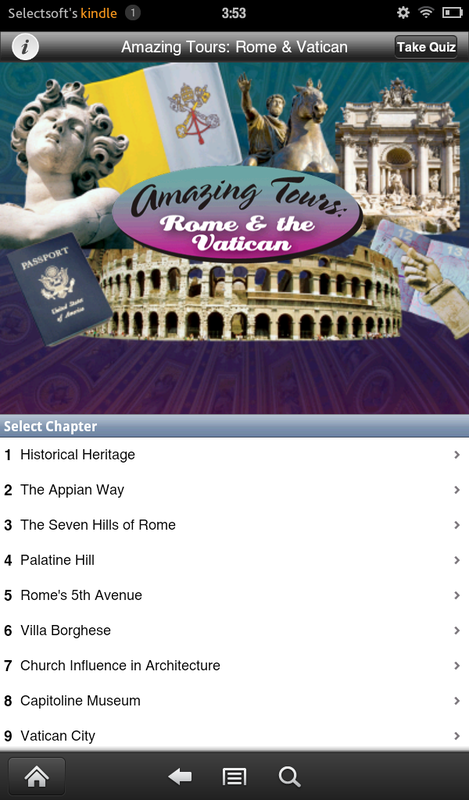 Embark on an exciting video tour of Rome with Amazing Tours. Experience the varied architecture that defines Rome, marvel at the many art treasures created by Michelangelo, Raphael, Botticelli and other great masters, admire the precision horseriding at the Piazza di Siena, and listen to the Pope. 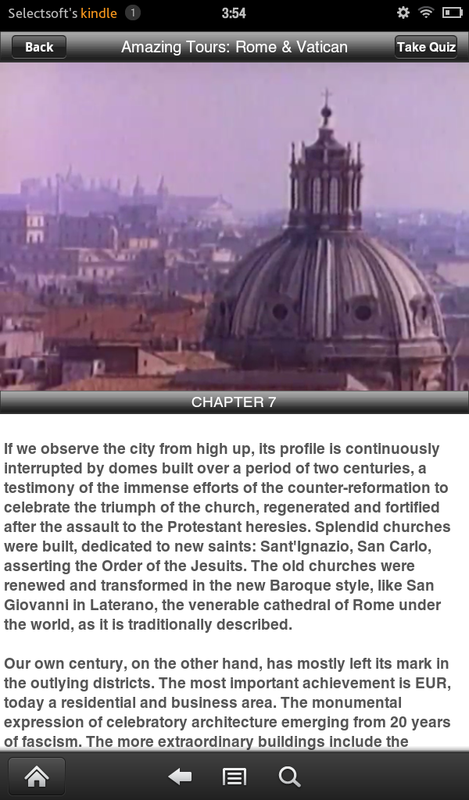 Read along with the text as you watch the videos, then take a fun quiz to find out what you've learned! The innovative videobook format is intuitive to use and lets you quickly navigate with the swipe of a finger. Take a virtual vacation with Amazing Tours, a fun and informative way to experience some of the world's favorite destinations. 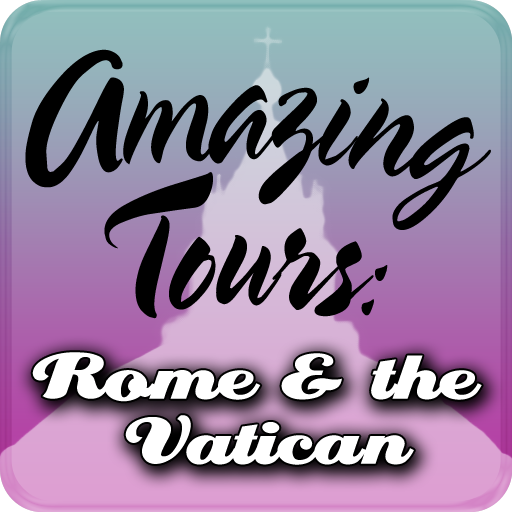 Visit: Appian Way • Seven Hills • Palatine Hill • 5th Avenue • Villa Borghese • Capitoline Museum • Vatican City • Palazzo Farnese • Palazzo Pamphili • Janiculum Hill • And More!